Velodyne supplies industry-leading lidar sensors for a new autonomous valet parking solution from HoloMatic that operates 24/7 and in all weather conditions. 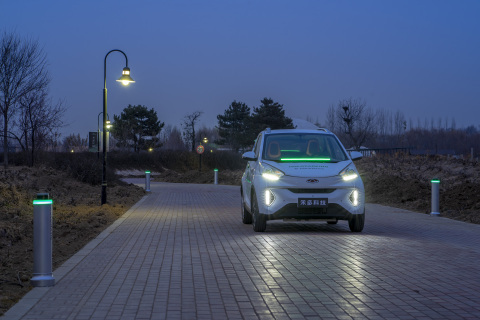 BEIJING--(BUSINESS WIRE)--Velodyne Lidar, Inc. supplies industry-leading lidar sensors for a new autonomous driving technology from HoloMatic that frees travelers from the burden of time-consuming searches for parking spots. The HoloMatic system, called HoloParking, is China’s first smart valet parking solution that operates 24/7 and in all weather conditions. Unlike parking assistance systems, HoloParking does not require the vehicle to be driven next to a parking spot. Rather, it allows a driver to leave a vehicle at the entrance of the parking lot. Using HoloParking, the vehicle then finds a parking spot and completes the parking maneuver on its own without human supervision. For pickup, the returning driver can start the system remotely and the vehicle will automatically drive from the parking spot to the boarding area. Throughout this process, the driver does not need to enter the parking lot. Using Velodyne’s smart lidar sensors to provide high-resolution, three-dimensional information about the surrounding environment, HoloParking excels in a wide range of scenarios. Whether functioning in an environment with low light, a complex parking lot mixed with people and vehicles, or in severe weather conditions, HoloParking provides users with safe and reliable autonomous parking services. 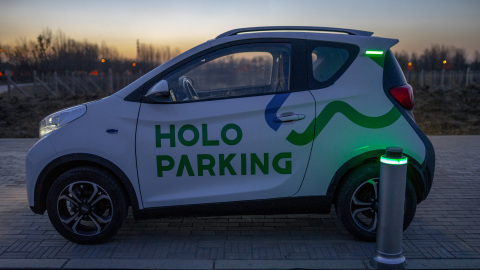 This year, the commercialization of HoloParking in China is starting in select cities, with initial rollout in Shanghai. By 2020, HoloParking is planning to support over 20 cities, each with at least 20 parking lots. Velodyne provides the smartest, most powerful lidar solutions for autonomy and driver assistance. Founded in 1983 and headquartered in San Jose, Calif., Velodyne is known worldwide for its portfolio of breakthrough lidar sensor technologies. In 2005, Velodyne’s Founder and CEO, David Hall, invented real-time surround view lidar systems, revolutionizing perception and autonomy for automotive, new mobility, mapping, robotics, and security. Velodyne’s high-performance product line includes a broad range of sensing solutions, including the cost-effective Puck™, the versatile Ultra Puck™, the perfect for L4-L5 autonomy Alpha Puck™, the ultra-wide angle VelaDome™, the ADAS-optimized Velarray™, and the groundbreaking software for driver assistance, Vella™. 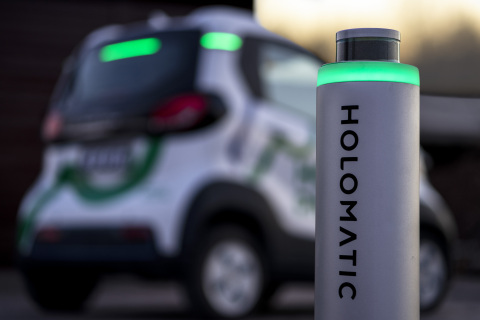 Velodyne Lidar, Inc. supplies industry-leading lidar sensors for a new autonomous valet parking solution from HoloMatic.